Cypress, CALIF. (February 28, 2017) – Vans Park Series, the definitive World Championship park terrain skateboarding competition series for men and women, kicks off the 2017 VPS Men’s Pro Tour this weekend, welcoming the world’s most elite professional park terrain skateboarders to Sydney, Australia as part of the celebrated Australian Open of Surfing festival. With only days left until the final competitive field is secured, VPS commences the season’s first official Global Qualifier event with confirmed attendance by VPS Select Pros Pedro Barros, Jack Fardell, Ivan Federico, reigning park terrain World Champion Alex Sorgente, and more to arrive later this week. Tour Wildcards Chris Russell, Curren Caples and Greyson Fletcher are also expected to join, slating for a powerful field of talent in this weekend’s showcase. 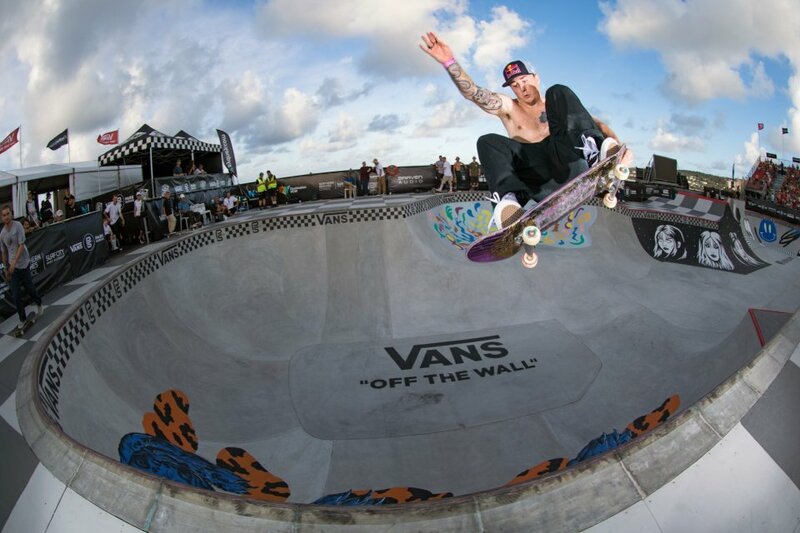 Bookending the main global qualifier event, the inaugural Vans Park Series Oceania Continental Championships for men and women will take place on March 2 and 4, providing an open path for regional talent to earn their way onto the official VPS World Tour circuit. Highlighting the best skateboarders from all-over the local South Pacific region, the winner from each event will earn a coveted invite to the 2017 VPS World Championships. Situated in the scenic locale of Manly Beach, the custom-designed VPS park course is built directly on the sand, highlighting infinite opportunities for speed, air and style. The course terrain features a unique deep end equipped with pool coping, a gigantic hipped layback bank, a spine on top of the deck that with a raw concrete curb on top of it, a huge 10.5’ tall extension, and an abundance of hips and transfers. Stay tuned to www.vansparkseries.com for final athlete event confirmations and more information on the VPS World Tour events as the week goes on.